Today we had a visit from Portals to the Past. We investigated a map of Britain and found out that in Anglo Saxon times the country was broken into different areas to today. 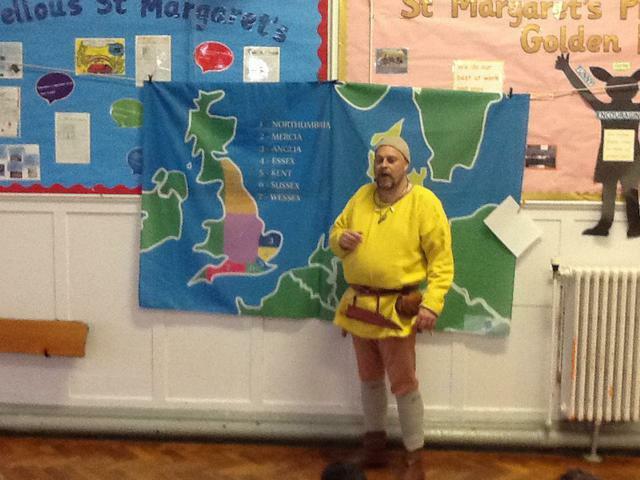 They learned why The Jutes, Angles and Saxons came to Britain and found out how it became a Christian country. After play The children re enacted life in the Lords Hall, this was used as a church and a court as well as a great place for a party. They found out that they needed to live in the countryside so that they were near farmland. The Anglo Saxons loved stories, riddles and jokes which they shared at their parties. The children had fun trying to solve some riddles and Jokes. The afternoon was spent investigating weapons and armour and finding out why they were needed? 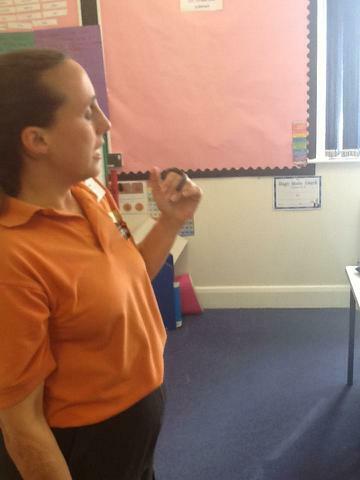 This afternoon the children were surprised by a visit from Ruth an education officer at Africa Alive. 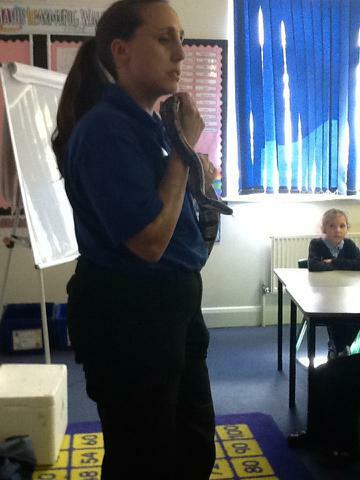 She came with creatures for the children to handle, including a mouse, royal python and a millipede. They were able to find out about eggs big and small and what they hatched into as well as some butterfly life cycle role play! This afternoon was another busy cafe where the children enjoyed the story of the Bad Tempered Ladybird. 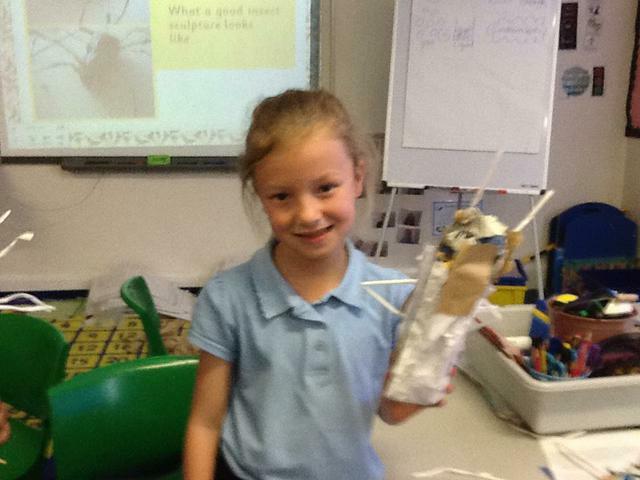 They went on complete their insect sculptures which turned out to be fabulous! Another Cafe will take place next half term so don't worry if you were unable to make this one! 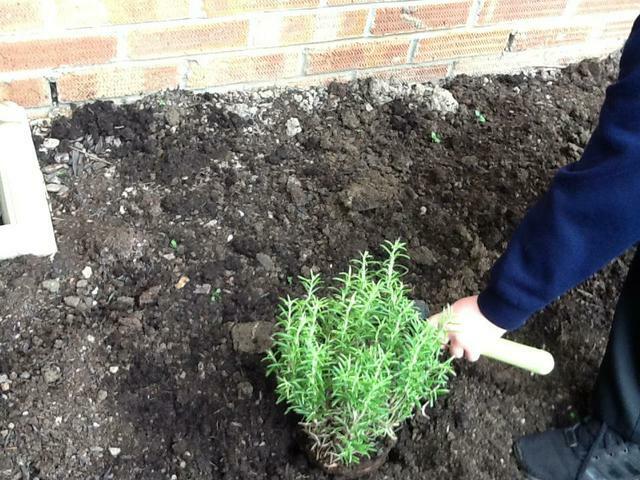 This afternoon the children were finally able to plant some of the seedlings outside . The wellies are full of peas and nasturtiums and the pansies and herbs are now in their new home! Hopefully the insects will begin to visit soon. The children experienced the historical facts behind the spooky stories of the author Peter Murray today. He is a captivating story teller who encouraged the children to question and predict whilst they enjoy the humour of his presentation. 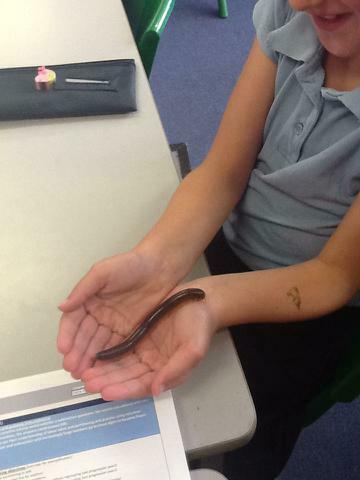 This half term our topic is 'Our Wonderful World'. 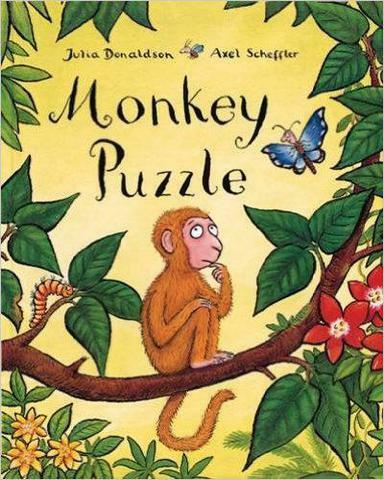 The Magpies have already started their learning for this by looking at the book 'Monkey Puzzle' by Julia Donaldson. Children have enjoyed learning actions to help them remember some of the text. Can you show your adult the actions that we have learned? 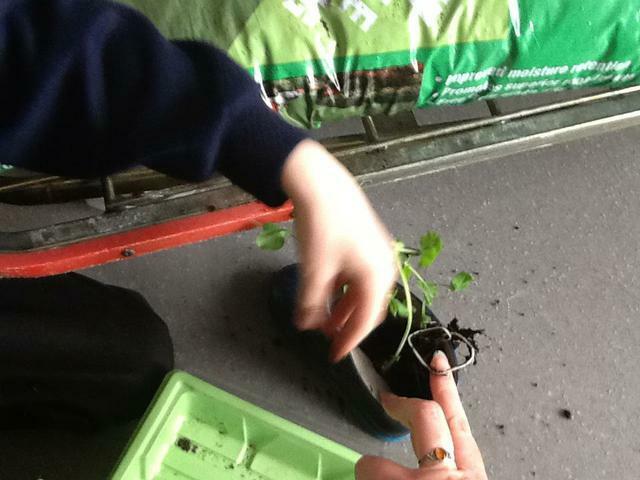 Today, the Magpies and the Woodpeckers had an amazing day planting, painting and investigating seeds. We learned about the different ways in which seeds can be dispersed, we created flower pictures using a flat brush and two colours and we planted seeds that are eventually going to create a colourful garden outside the year 3 classrooms. We also created bug hotels that can be used in our garden to encourage different insects to create their home there. 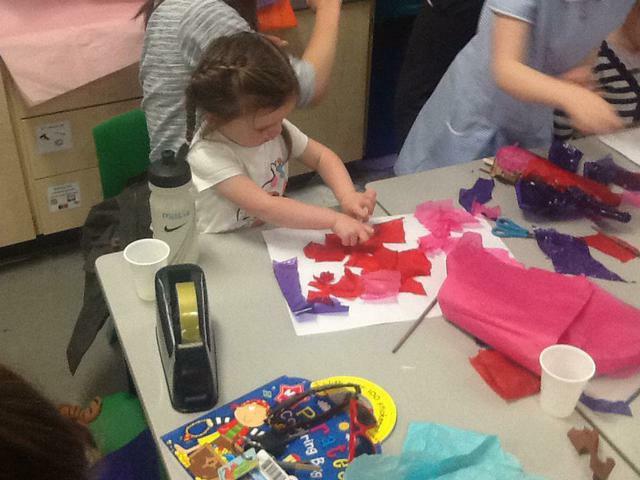 It was lovely to have so many adults and your siblings joining us for our family Café. 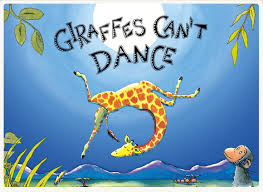 We shared the book 'Giraffes Can't Dance'. Following this, we experimented with different ways to make moving images. It was amazing to see all of your creative ideas and it was great to see younger siblings joining in as well. I can't wait for our next Family Café. Making a Pomander from oranges and cloves. Our Fabulous Finish took place at Strangers Hall, in Norwich. The children met some merchants from the Tudor times and found out about the 'strangers' who were coming into England to work in the textile industry. Children were able to dress up in Tudor clothes and learned about the name of the clothes. The children enjoyed learning about the bum roll! Tudor dancing was also a great hit with all the children. By making their own looms children were able to weave their own bookmarks. In the Great Hall, we laid the table for a feast. Dressed as a wealthy Tudor. Learning to dance Tudor style. What are these items used for? The children started their Topic 'Sound and Vision' with a sparkling visit from Doctor Dee at Mad Science. Children learned many facts about light such as, the sun is 93 million miles away from the earth and that sunlight takes 8 minutes and 20 seconds to reach the earth. After this they got to use diffraction glasses to see that white light is made of all the colours of the rainbow and they saw Doctor D make a mini sun in the classroom. Children looked at a plasma ball and made a human chain to make a light bulb work using the electricity from the plasma ball. The children will continue to learn about light and sound for the rest of the half term. We have also been learning the poem 'The Sound Collector' by Roger McGrough and put actions to it to help us learn the words by heart. The children are going to use this to help them write their own light and sound poems using rhyme and onomatopoeia. Follow the link below to hear Roger McGrough reading his poem. 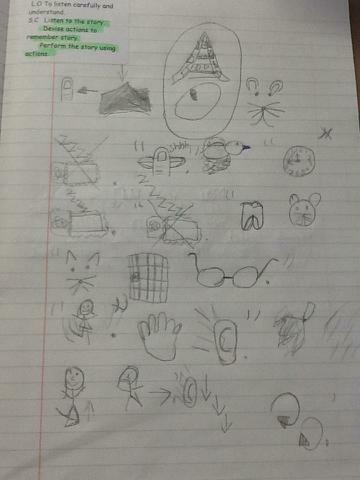 See if you can read along! Welcome to Year 3: Magpies! 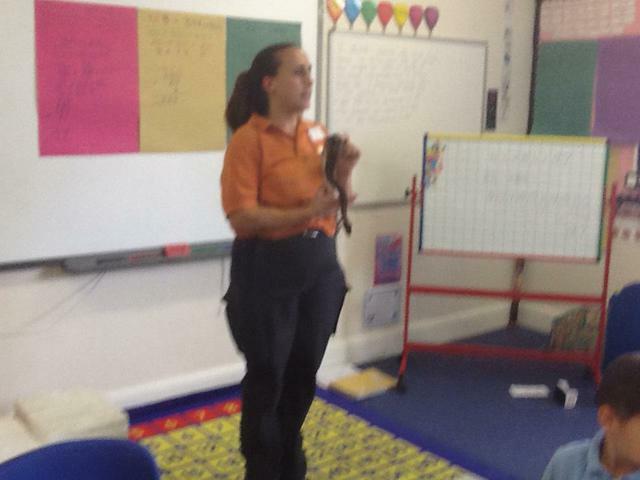 Our topic began with a visit from Ruth at Africa Alive, who came with her pancake tortoise, millipede and snake! 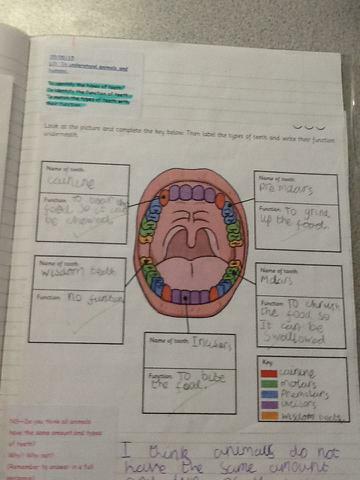 The children found out lots of information about teeth, omnivores, herbivores and carnivores. 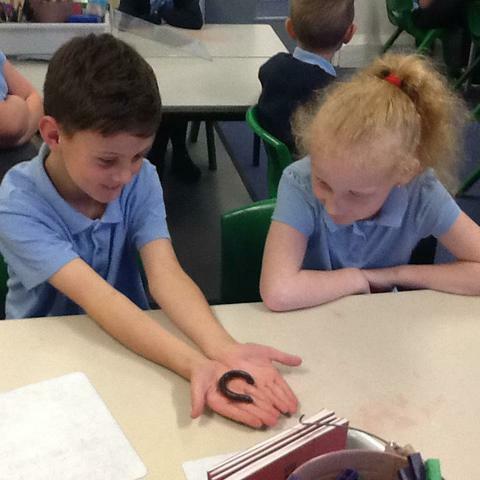 Many of them were also brave enough to hold and touch Millie the Millipede! 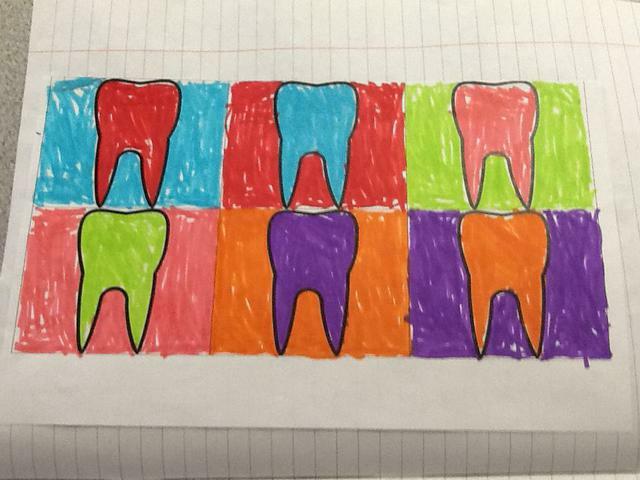 The children created Pop Art teeth pictures in the style of Andy Warhol. 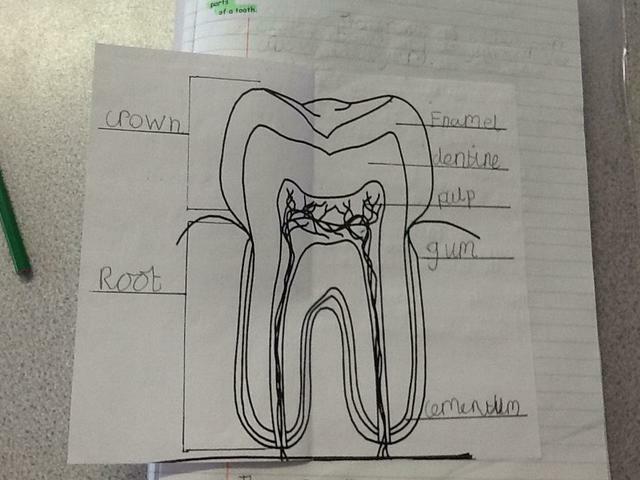 We have also looked at the different teeth and their functions and thought about the structure of a tooth. The children have been listening to the story 'The Tooth Mouse' by Susan Hood. We have retold part of the story using actions and the children created drawings to help them remember their story.